Zwadie Odingie Romain aka Oliver “Fatso” Romain, a master musician and an original member of the now defunct “Teenage Thrillers” (a teenage band from the GBSS back in the 60s), was finally laid to rest in his homeland, Grenada, on Saturday, 13 February 2016. Although Zwadie migrated in 1970, he made regular visits back to Grenada and performed with the local musicians. 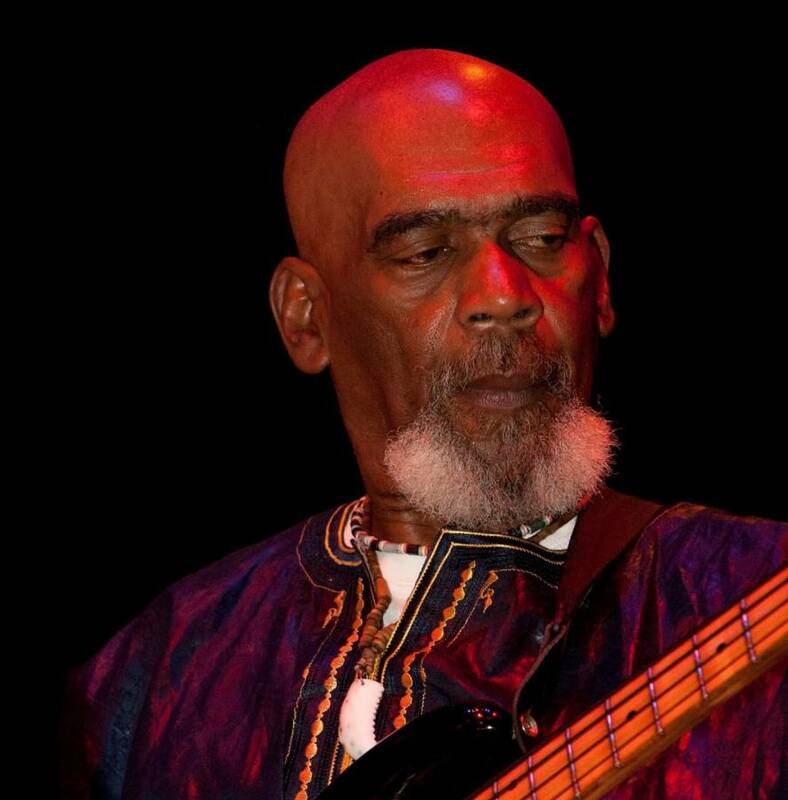 He played the bass guitar, and also studied Congolese Drumming with some of the great masters from Africa, including Mbemba Pangou, Titos Sompa, and the late Malonga Casquelorde. Zwadie first came on the scene in the mid 60s with fellow musicians Robin “Pickles” Seales, Micheal “Smico” Marryshow, Paul St John and others, to form “Teenage Thrillers” who wooed their fans at local dances and concerts, before the members migrated to further their careers in other areas. He enlisted in the US Army and spent years as a tractor-trailer operator for the army. 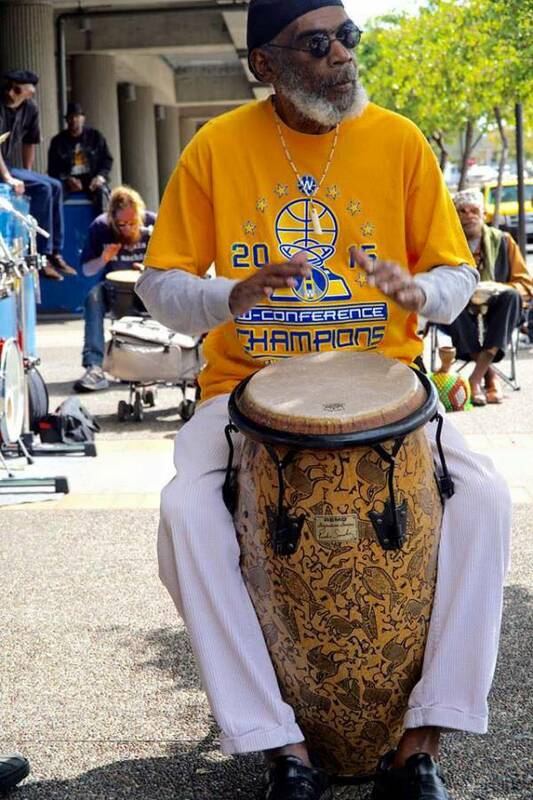 In his adopted home of Oakland California, Zwadie was a regular musician on the scene who was loved by his community especially those at Cal Berkeley and Ashby Bart Station, where he played African drums and praised the ancestors along with his many friends. Zwadie’s final wish was to have his ashes scattered in the ocean at Quarantine point, one of his choice spots while visiting Grenada, and where his band “Teenage Thrillers” performed regularly back in the days. Close family and friends gathered on Saturday to pay their last respects, and some of his fellow musician friends, Paul St John, Micheal Marryshow, Selwyn “Kung Fu” Pitt, Ras Dakarai, and Peter Radix, gave him a musical send off. Noted entertainer/playwright Richardo Keens–Douglas read a “Letter from Heaven” on behalf of his family. Zwadie is survived by the mothers of his children, Margie Abbot and Laurenciana “Titi” Romain, as well as by his partner of any years, Rita Marie Betance. He leaves his 4 children, Garth, Nkenge Sadiqua, Jaja “Jay” Uhuru, and Mbemba Pangou Romain, as well as his 5 grand-children, Sadiqua, Trinity, Terrell, Janaya and little Jaja. There is also a group of now young adults who still called Zwadie “Dad” or “Pops”, including Jermain, Carlos Tamika, Deborah, Tiffany, Rebecca, and Joe. He also left behind his 2 brothers, Hugh and Bilal Romain, and 3 sisters, Olive Romain, Jean Romain Bunsie and her husband Edmond Bunsie, and Denise Romain. He passed peacefully the morning of 19 October 2015, knowing that he was well-loved. He will be remembered as a kind and gentle man.